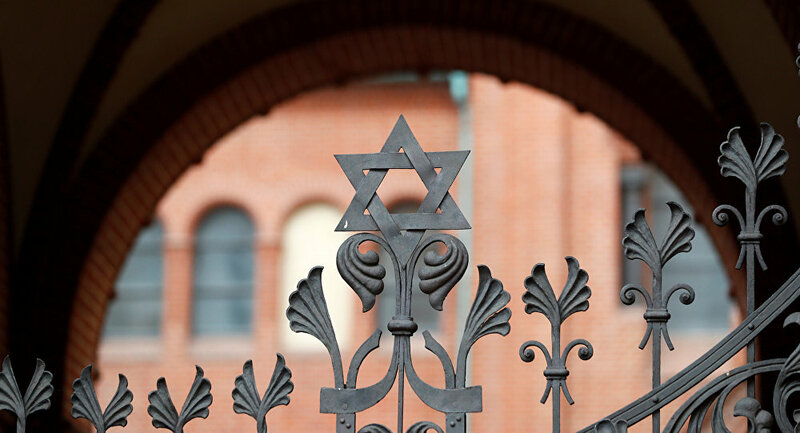 The incident at the synagogue occurred on the 80th anniversary of Kristallnacht, a major attack on Jews that happened in Nazi Germany on 9-10 November 1938, when hundreds of Jewish-owned stores were destroyed by anti-Semitic mobs. Unidentified individuals hung a pig's head covered with blood on the doorway of the Sukkat Shaul Synagogue in Ramat Hasharon, Arutz Sheva 7 TV reported Friday. Deputy Defense Minister Eli Ben Dahan addressed the incident, claiming that "anti-Semitism is also raising its head in the Land of Israel". "The ongoing incitement against the religious community in Ramat Hasharon was staged in the form of the head of a pig placed in front of a synagogue. We have to stop it now," he added. In the meantime, Interior Minister Arye Dery called the incident "a hate crime" and stated that those responsible for it would be held accountable.